1 of only 2 Triplexs in this highly acclaimed building! Blazing Sunshine is everywhere in this Southeast Facing Home from its multiple Skylights & Period Arched Windows! Soaring 16ft+ Ceiling Height is beyond Amazing! Open Concept Living at its absolute Finest! 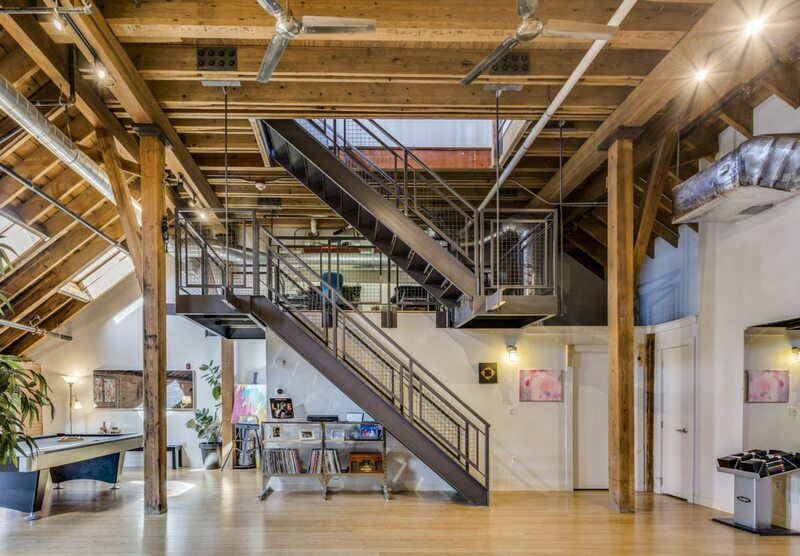 Brick & Towering Beams with Exposed Rafters from every vantage point! Custom Architectural Steel Staircase! Great for Every Lifestyle and for Memorable Entertaining! Gourmet Chef’s Kitchen with Breakfast Bar! Tons of Storage with Pantry! Huge Bedroom with 3 Closets! Perfect Mezzanine for your at home office! Central Air & in unit Laundry! Easy access Private Storage! Fitness Center and Lush Common Courtyard! Minutes to T, Restaurants, Shopping and all that Jamaica Plain has to Offer! A Rare Opportunity in the City! Click Here to view the Interactive Floorplan and More Photos!